In the press conference immediately following the court hearing at which charges of faking a hate crime were dismissed against celebrity actor Jussie Smollett, his lawyers refused to rule out the possibility of legal action against the city of Chicago for the police investigation that led to the 16-count criminal indictment against Smollett. However, what comes next may not be anything so conventional in a case that has left many legal observers wondering if anyone has ever seen anything like this before. “I would think it’s the last thing Jussie Smollett would actually want, to go back into court and potentially have everything come out again,” said James Sotos, an attorney and principal with The Sotos Law Firm, in Chicago. The Sotos firm specializes in defending police officers and prosecutors who have been sued or accused of misconduct. Instead, Sotos said, no one should be surprised if the city of Chicago moved to take the matter back into court, perhaps with a legal action of its own to seek to recover some of the as-yet untold sums investigating Smollett’s claims and preparing the case for eventual trial. “If the alternative is to let everyone just walk away from this, and go on as if it never happened, and the questions surrounding these events are never answered – it’s antithetical to the modern notions of open government and transparency, given what has just happened,” Sotos said. On March 26, the Cook County State’s Attorney’s Office shocked many when it abruptly moved at an unpublicized emergency hearing in Cook County Circuit Court to drop all charges against Smollett. 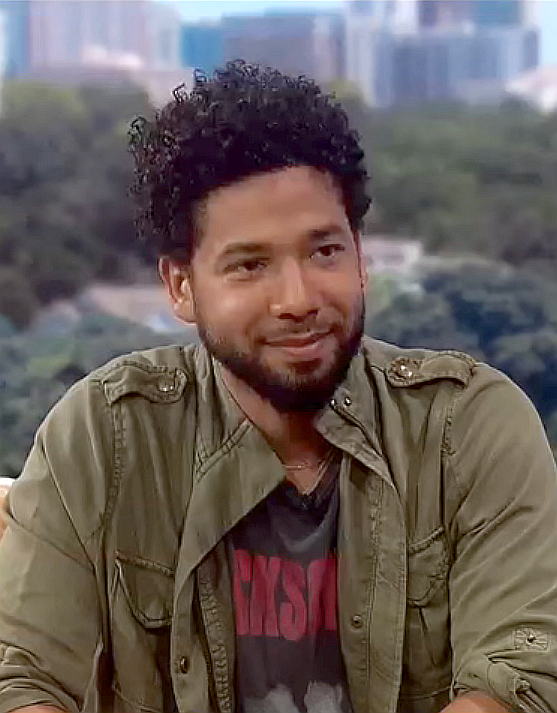 Smollett, who is black and openly gay, had a recurring role on the Fox television network series, “Empire.” In January, Smollett drew national attention by claiming he had been attacked by two white men wearing “Make America Great Again” hats – emblematic of the campaign of President Donald Trump – while walking late at night after purchasing a sandwich at a Subway restaurant in Chicago’s Streeterville neighborhood. According to Smollett’s claims at the time, the men assaulted him, shouted racial and homophobic epithets, poured bleach on him, hung a noose around his neck and yelled “This is MAGA Country!” – again a reference to Trump and his political supporters. Following the incident, Smollett’s story was repeated and amplified around the country and the world, as many celebrities rushed to share sympathies and deride such alleged racism and bigotry among political opponents. Democratic politicians, including some candidates for president, also jumped in, accepting Smollett’s account as truth, and using it to attack Trump and Republicans. However, the Chicago Police Department’s resulting massive investigation of the incident resulted in a 16-count criminal indictment against Smollett, who was accused of fabricating the incident by hiring two associates, immigrants from Nigeria with whom he physically trained, to pretend to attack him. Smollett entered a plea of not guilty when he was arraigned. 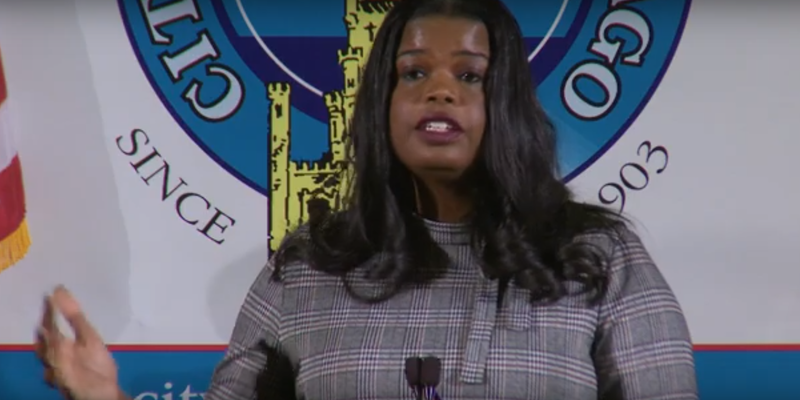 The case took another twist when it was revealed Cook County State’s Attorney Kim Foxx had been communicating with an associate of Smollett’s, identified as Tina Tchen, who had also been chief of staff to former First Lady Michelle Obama. The reports indicated Foxx had agreed to pressure Chicago Police Superintendent Eddie Johnson to transfer the case outside the Chicago Police Department and instead to the FBI. Before those reports surfaced, however, Foxx said she intended to “recuse” herself from handling the case. Instead, she allegedly turned the case over to her office’s First Assistant State’s Attorney Joseph Magats to lead the prosecution. It was Magats who then announced at the March 26 hearing that Foxx’s office had declined to prosecute the case, and would not object to Smollett’s request to dismiss the charges, seal the case and expunge his record. Cook County Circuit Judge Steven Watkins granted all of the requests. Magats and later Foxx defended the move, saying it was consistent with the office’s “alternative resolution” procedures for low level felony charges against non-violent offenders with no prior criminal record. While Magats and Foxx have insisted the decision to dismiss the charges does not represent an “exoneration” of Smollett. However, after the court hearing, Smollett and his attorneys trumpeted the decision as proof Smollett had been vindicated and had been truthful from the beginning, despite the seeming inconsistencies between his claims concerning the identities of his attackers and their actual identities and connection to him. Chicago Police and Mayor Rahm Emanuel also saw the situation very differently from Magats and Foxx, as the mayor called the decision a “whitewash” of the case, which he and others said had prominently besmirched the city. On Wednesday, March 27, Emanuel added to his comments, saying he wishes to see questions surrounding the decision to dismiss the case be publicly answered. Following the court hearing, amid their celebratory press conference, Smollett’s lawyers were asked if they intended to sue the city. They declined to answer the question, and did not say no. However, the next moves in the saga may belong to the city, which could have some tricks up its sleeve, Sotos and other observers say. To begin, Sotos said the city could decide to sue Smollett, asserting the actor owes the city and taxpayers for wasting potentially hundreds of thousands or even millions of dollars in investigating his claims. “We don’t yet know what the city actually spent on this,” Sotos said. Spokespeople for Emanuel did not reply to an email from The Cook County Record asking for an estimate of the city’s costs related to the Smollett investigation. Sotos said such a lawsuit, if nothing else, could help bring answers to the public about what actually happened in the case. “There are so many unanswered questions about what went on behind the scenes in this case, questions that can’t be fully vetted, unless it were through a lawsuit,” Sotos said. The mayor’s office also did not reply to questions about whether the city could consider such a lawsuit. Jacie Zolna, a Chicago attorney with the firm of Myron M. Cherry & Associates, who has led multiple class action lawsuits against the city of Chicago over red light camera tickets and other policies, said such a lawsuit would be difficult. “I think it’s something everybody really, really would like to happen,” Zolna said. “And there may be lawyers looking at it. Zolna and Sotos both said a group of citizens or taxpayers could attempt to bring such a lawsuit on behalf of the city, as well. But they also both said that would likely be an even greater uphill climb, particularly over the issue of whether individuals would have standing. “The law doesn’t particularly like having 5 million people chiming in whenever an unpopular decision is made,” Zolna said. Zolna said it may be easier for the City Council to simply move to pass an ordinance, granting the city a right of action to sue those the city believes have falsified criminal reports in general, or hate crimes, in general, to allow the city to recover its investigatory costs, even without a conviction. The mayor’s office also did not respond to a question from The Cook County Record about such an ordinance. Given the public outcry over the case, the next steps in the process may include calls for legal or regulatory action against Foxx for her alleged role in the case. While Foxx said she was “recusing” herself from the case, a statement from the Cook County State’s Attorney’s Office on Wednesday, published in a report by Mark Konkol on Patch.com, said Foxx only used the term in the “colloquial” sense, and was merely passing the case on to her deputies to handle. The term is important, because under Illinois state law, a state’s attorney who recuses herself from a case because of a conflict of interest, is required to replace her office with a special prosecutor. Eric Johnson, a law professor at the University of Illinois at Urbana-Champaign, said the law typically allows “varying levels” of recusal. In some instances, he said a prosecutor’s perceived conflict of interest could result in an entire office being ethically or legally required to step aside. In other instances, however, just one particular prosecutor could be removed from a case. He noted there are high profile analogies for such a course, citing the example of the decision to allow U.S. Deputy Attorney General Rod Rosenstein to oversee the investigation of Trump and his associates by special prosecutor William Mueller, even after Attorney General Jeff Sessions recused himself from the investigation. Steven Beckett, a Champaign attorney who until his retirement had served as Director of Trial Advocacy at the University of Illinois College of Law, said he did not believe Foxx’s recusal should require a special prosecutor. “Many offices have a ‘glass wall’ where the prosecutor who handles the case has no communication with the ‘conflicted’ prosecutor,” Beckett said. Beckett said he believed the dismissal was “a ‘normal’ result consistent with State’s Attorney office policy,” which should apply whether the accused is a “celebrity” or “normal” person. Regardless, the appointment of a special prosecutor was never publicly considered for the Smollett case. Sotos said it remains uncertain whether anyone could even petition the court on such grounds to nullify the dismissal of Smollett’s charges and seek to reopen the case under a special prosecutor. Sotos said he believes only the city of Chicago may have the legal standing to do so. In general, however, Sotos, Johnson and Beckett said prosecutors enjoy near total discretion in how to prosecute cases. In a statement tweeted Tuesday, Illinois Attorney General Kwame Raoul, a noted political ally of Foxx, indicated his office would not be stepping into review the matter, saying: "The Cook County State’s Attorney has primary criminal jurisdiction over criminal matters in Cook County and has discretion in how it handles criminal cases." Sotos noted prosecutors also enjoy general immunity from lawsuits concerning their prosecutorial decisions. However, that immunity does not stretch to claims over whether a state’s attorney may have interfered in an ongoing investigation, said Sotos. And, he noted, that immunity does not extend to professional disciplinary claims that may be brought against state’s attorneys. Jim Grogan, a spokesman for the Illinois Attorney Registration and Disciplinary Commission, which handles and investigates professional complaints against lawyers in Illinois, declined to comment on the Smollett case specifically. He also said Illinois Supreme Court rules forbid anyone at the ARDC from disclosing whether an investigation is pending against any lawyer. But Grogan said state’s attorneys are not immune from disciplinary actions under Illinois Supreme Court rules. He said investigations can be launched either by the ARDC itself or by receiving a complaint of misconduct from a party in a case, an opposing lawyer or a common citizen. When asked how the ARDC might respond to a hypothetical instance in which it could be discovered a prosecutor continued to participate in a case in which they claimed to have recused themselves, Grogan largely demurred. But he said he could not “cite a case before the Supreme Court with a similar set of facts” to such a hypothetical situation. UPDATE: On March 27, the National District Attorneys Association, which describes itself as "the largest prosecutor organization in the country, representing 2,500 elected and appointed District Attorneys across the United States," issued a statement on the Cook County State's Attorney's Office's handling of the Smollett case. "The case in Chicago illustrates a point that must be discussed in an effort to ensure fairness in our criminal justice system: the rich are treated differently, the politically connected receive favorable treatment, and Lady Justice sometimes peeks under her blindfold to see who stands before her," the NDAA said. "While details of the case remain sealed, several observations must be made in order to increase, not diminish, the public’s confidence in the criminal justice system. "First, when a chief prosecutor recuses him or herself, the recusal must apply to the entire office, not just the elected or appointed prosecutor. This is consistent with best practices for prosecutors’ offices around the country. "Second, prosecutors should not take advice from politically connected friends of the accused. Each case should be approached with the goal of justice for victims while protecting the rights of the defendant. "Third, when a prosecutor seeks to resolve a case through diversion or some other alternative to prosecution, it should be done so with an acknowledgement of culpability on the part of the defendant. A case with the consequential effects of Mr. Smollett’s should not be resolved without a finding of guilt or innocence. "Fourth, expunging Mr. Smollett’s record at this immediate stage is counter to transparency. Law enforcement will now not be able to acknowledge that Mr. Smollett was indicted and charged with these horrible crimes and the full record of what occurred will be forever hidden from public view. "Finally, we believe strongly that hate crimes should be prosecuted vigorously but the burden of proof should not be artificially increased due to the misguided decisions of others."